The Grand Rapids Business Journal’s 2016 Newsmaker of the Year is new to the region but plans to make a significant economic impact here far into the future. “Since the first day we announced this project and every day since, we have been humbled by the support in the community,” said Adam Kramer, executive vice president of strategy for Switch, the massive technology firm and data center currently making its home in the former Steelcase Pyramid building in Gaines Township south of Grand Rapids. The Las Vegas-based firm’s SuperNAP data center will be the largest such technology facility east of the Mississippi River and will house servers for global clients doing business in the Midwest and throughout the country. Kramer, who also was recognized with a Newsmaker award in the technology category, was honored before a packed house this morning at Frederik Meijer Gardens & Sculpture Park. 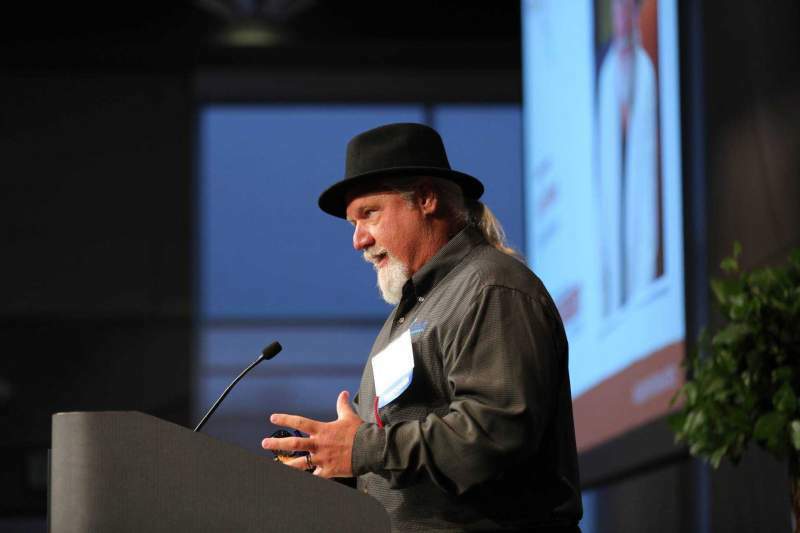 He was among winners in 16 categories who were recognized for their contributions to the West Michigan business community. The arrival of Switch will change more than just the region’s technology sector. Hotel development already is underway to the south of Grand Rapids, and travel and tourism officials expect an influx of new employees and visitors to the area over the coming years. Housing, construction, retail, health care and other economic activities likely will follow. While the full economic impact of Switch has yet to be seen, Las Vegas-based Applied Analysis Principal Jeremy Aguero told the Business Journal last summer that one can look at the company’s impact in Las Vegas. Kramer frequently used the word “humbling” during his acceptance speech and said he looks forward to Switch joining the business community on a full-time basis. Mike Stevens and Dave Engbers, Founders Brewing Co.